Traidcraft – one of the pathfinders of Fairtrade commerce in the UK – is in crisis. After completing a restructuring exercise the organisation will be employing just 12 staff, down from the 67 it currently has. Twenty two staff have chosen voluntary redundancy, while 45 employees have been issued with formal redundancy notices. Elsewhere, though, the Fairtrade movement is doing well. The latest annual report from the Fairtrade Foundation – for the year ending December 2017 – quotes independent data from Kantar Worldpanel as showing that UK retail sales of Fairtrade products grew 7% last year. This was supported by strong commitments from a number of leading retailers, including the Co-op Group, which became the first UK retailer to 100% source Fairtrade roses, and Waitrose, which moved to 100% Fairtrade tea. “Overall we have been able to deliver more of the core benefits of Fairtrade – minimum prices and premium – back to farmers,” said the retiring chair of the Foundation, Michael Jary. The principles of Fairtrade International and in the UK the Fairtrade Foundation are for a larger proportion of the retail price of commodities to be returned to farmers and other producers in the developing nations. Actions last year in support of these aims included the Co-op Group building a new community resource centre in Kenya to support Fairtrade tea farmers. “The facility will offer 50,000 people across the Fintea tea-growing community access to educational, recreational, cultural, health and lifelong learning opportunities,” explained the Fairtrade Foundation’s annual report. The report summarised various research studies’ conclusions, which showed the positive impacts of Fairtrade production. Benefits included improvements to the lives of small producers and workers; strengthening of managerial and organisational structures of producer groups; as well as better working conditions in plantations, with a positive knock-on effect on plantations run by non-Fairtrade producers. There were also wide-ranging investments in producers’ and workers’ communities arising from Fairtrade production. However, there was also an honest recognition of negatives. In particular, workers employed by Fairtrade certified producers are paid less than are workers employed by non-certified farms. Whether Fairtrade certification has an overall positive or negative impact was discussed at a recent debate at the Katholieke Universiteit Leuven in Belgium. The case against Fairtrade was made by development economist Dr Peter Bowbrick – who has also published under the name Peter Griffiths. He claims that too little of the sales revenues of Fairtrade products goes to the farmers they are supposed to be assisting. 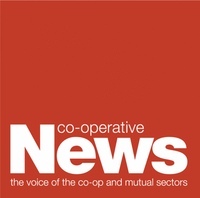 “Almost none goes,” he told Co-op News. In published work, Bowbrick has claimed that there is little evidence that Fairtrade labelling benefits the farmers who are involved, while possibly harming those who are not. He also argues that the Fairtrade bodies fail to be fully transparent and that the Fairtrade movement attempts to impose its political views on farmers. One possibility raised by an audience member at the debate in Belgium was whether blockchain technology might in the future assist with the audit process. Blockchain – a web-based distributable ledger system that sits behind cryptocurrencies such as Bitcoin – is increasingly being used in the food sector to show the provenance of ingredients and in the aid sector to demonstrate where donors’ money is going. Henty insists that the Foundation is transparent in terms of its activities and funding. “The Fairtrade Foundation is a charity, and our income comes from charitable donations and license fees, paid for by businesses so they can use the Fairtrade MARK on Fairtrade products sold in the UK,” she explains. “In addition to promoting the market so producers can increase their Fairtrade sales, the license fee supports the Fairtrade standards, the audit process and the networks and staff that support Fairtrade workers and producers. The Fairtrade Foundation publishes its accounts annually which give a full breakdown of their activities. In the Fairtrade system, Fairtrade certified producers benefit from fairer terms of trade which are outlined in The Fairtrade Standards. “Fairtrade co-operatives or producer groups are paid for their commodities directly by buyers or traders. For the goods they sell under Fairtrade terms, they receive at least the Fairtrade minimum price, or the market commodity price if higher, and the additional Fairtrade Premium (extra investment) directly from their buyer. In 2016, Premium alone from UK sales generated £32.3m; globally more than €150m went back to producers in the seven major product areas.” She adds that the Foundation’s ‘Monitoring the Impact reports’ provide clear information on how producers benefit from the Fairtrade system. In short, the Fairtrade Foundation strongly refutes the charges made by Dr Bowbrick. Given, though, that his complaints have been widely circulated, it is unlikely that we – or the Fairtrade movement – have heard the last of them.